Exeter Chiefs booked a place in the Anglo Welsh LV=Cup Semi-finals by beating Newport Gwent Dragons 32-37 at Rodney Parade on Sunday. 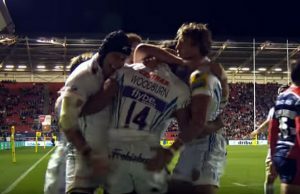 Exeter Chiefs won away at Rodney Parade on Sunday by running in six tries past their hosts, in another high-scoring contest. 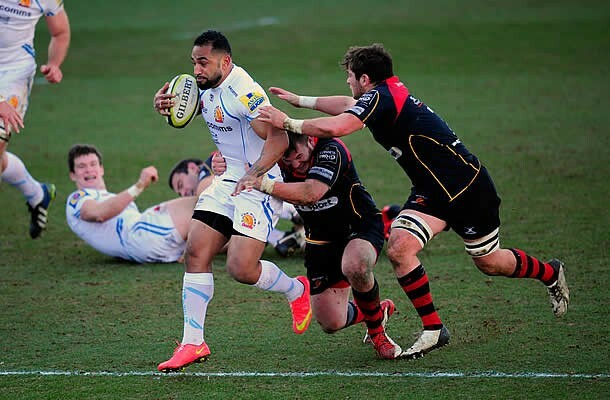 Former Cardiff Blues duo Tom James and Ceri Sweeney played a key role for the Chiefs in Newport as Exeter’s strong first 50 minutes proved to be decisive. 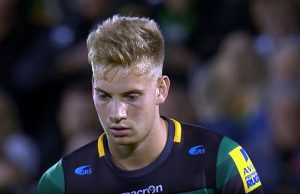 Ahead 30-11 going into the final quarter, the Dragons rallied thanks to tries from replacements Luc Jones and Scott Matthews. A 74th-minute penalty try for Exeter gave them some breathing room, with Jason Tovey’s score coming too little too late. 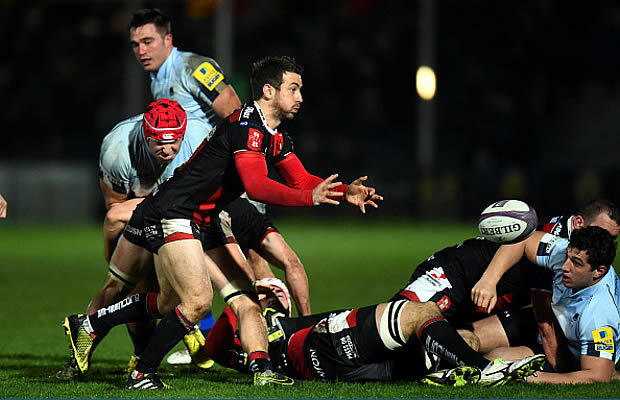 As a result Exeter make it through to the semi-finals, the first club to do so this season. Dragons: 15 Geraint Rhys Jones, 14 Tom Prydie, 13 Carl Meyer, 12 Ashley Smith (c), 11 Ashton Hewitt, 10 Dorian Jones, 9 Richie Rees, 8 Andy Powell, 7 James Benjamin, 6 Nick Crosswell, 5 Cory Hill, 4 Matthew Screech, 3 Dan Way, 2 Hugh Gustafson, 1 Lloyd Fairbrother. Replacements: 16 Rhys Buckley, 17 Owen Evans, 18 David Young, 19 Joe Davies, 20 Scott Matthews, 21 Luc Jones, 22 Angus O’Brien, 23 Jack Dixon. Exeter: 15 Byron McGuigan, 14 Fetu’u Vainikolo, 13 Ian Whitten, 12 Adam Hughes, 11 Tom James, 10 Ceri Sweeney (c), 9 Haydn Thomas, 8 Sam Skinner, 7 Sam Simmonds, 6 Tom Johnson, 5 Will Carrick-Smith, 4 Jerry Sexton, 3 Tomas Francis, 2 Elvis Taione, 1 Brett Sturgess. Replacements: 16 Greg Bateman, 17 Jake Woolmore, 18 Jack Stanley, 19 Ed Holmes, 20 Joel Conlon, 21 Stuart Townsend, 22 Laurence May, 23 Max Bodilly.